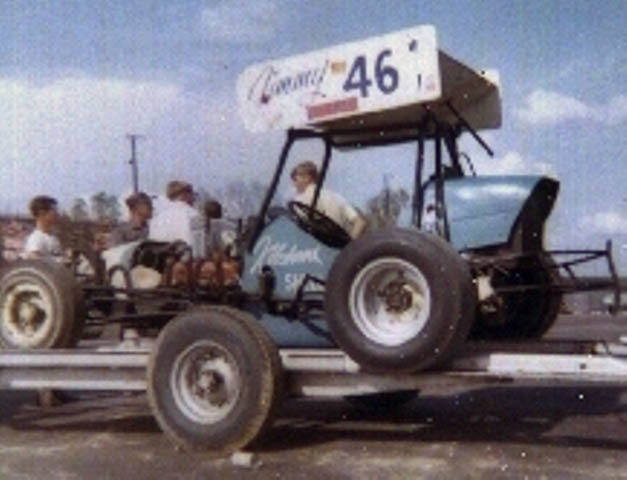 As Told By Jack Brown Mississippi Racing Historian: The 46 that Jimmy Kitchens drove, flipped one night at Laurel. I think it was their first race after they paved the track. All the wrecker crew was new, this being the first racing at the track in a number of years. After the wreck, me and several others truned the car back over on its wheels. The wrecker guy, trying to hurry the show, hooked the chain to the front nerf bar, lifted the front end and took off for the pits. But Jimmy, in his quick exit from the car had forgotten to kill the magneto switch. So when the wrecker took off, the racer fired up and climped up into the back of the wrecker. Jimmy Kitchens had realized what was about to happen and was chasing the wrecker on foot down the back stretch with his snarling super modified bouncing all over the back of the wrecker. 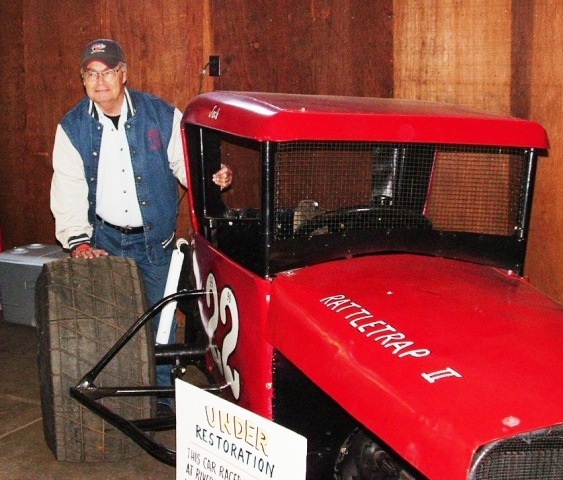 The poor wrecker crew was scared out of their wits with the race car filling their rear view morror. This was comical to watch but I think ruined the rear end in Jimmy's car as the wrecker stopped and choked the race car down. Needless to say he was unhappy and had a few choice words with the wrecker crew.